Server service, only needed if you want to install the server as service. 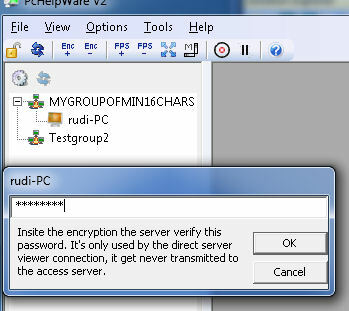 The server running as service allow full access, typical usage: remote access. 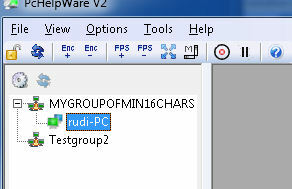 Group: This is a Custom name that's used to indentify server and viewers. You can only connect to servers that belong to the same group as the viewer. You can add multiple viewer groups to monitor servers that belong to different groups. Create SC open the customization properties. 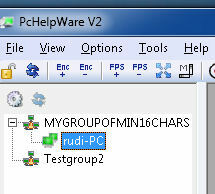 Use the same group as a group set by the viewer. the password so you don't have to enter it again on connection. 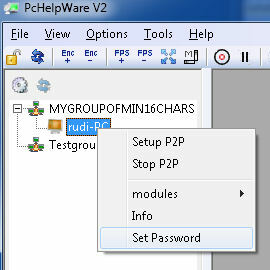 manual add it first before you can initiate a p2p connection. A Trayicon balloon indicate connection has been made.